Stay in Quebec's best hotels! Ideally located in Old Quebec, this heritage property features views of the St. Lawrence River. The on-site restaurants provide a variety of dining options, from classic to regional dishes. Excellent Chateau hotel and I like it very much! Will definitely visit again! Downtown Old Quebec City is 2 minutes' walk from this boutique hotel. Located in the house of architect Jean Baillairge, each room is uniquely decorated. Great location, everything we wanted to see was within walking distance. The hotel staff were all friendly and attentive. I would highly recommend this hotel and would definitely come back to stay here. Featuring 2 restaurants, a spa and indoor pool, Hotel Manoir Victoria is located in Old Quebec, 8 minutes' walk from La Gare du Palais. The hotel offers a flat-screen cable TV in every room. The location of the hotel is perfect. All key attractions are within a walking distance. Perfect choice! Featuring a fitness center, Hôtel Alt+ Quartier DIX30 offers rooms in Brossard, a 9-minute walk from Le Club Dix30. Built in 2018, the property is within 0.7 mi of Étoile Banque Nationale. This hotel, however, is absolutely fabulous in all other ways. I travel to Montreal frequently and tried other hotels trying to make sure I know the best one. This hotel rates far above all others. The staff is phenomenal, the facilities are clean and stylish, location is great, on-site amenities are good, restaurant and bar are first-class, nearby services are good. I really can't overstate the value of this facility. Located in Quebec City, 295 feet from Terrasse Dufferin, Manoir Sainte Genevieve has a number of amenities including a terrace and free WiFi. the room decoration was amazing, really cozy and the atmosphere is great. Made you feel like home. Set in Lac-Beauport, 0.9 mi from Le Relais, Entourage sur-le-Lac features a private beach area. This 4-star hotel offers a 24-hour front desk, a shared lounge and free WiFi. There is a restaurant. Great location!! By the water in nice neighborhood, yet only 15 mins drive to Old Quebec. Located in Quebec City, a 3-minute walk from Fairmont Le Chateau Frontenac, Hotel Manoir Morgan has a terrace and rooms with free WiFi access. We were delighted with Manoir Morgan. 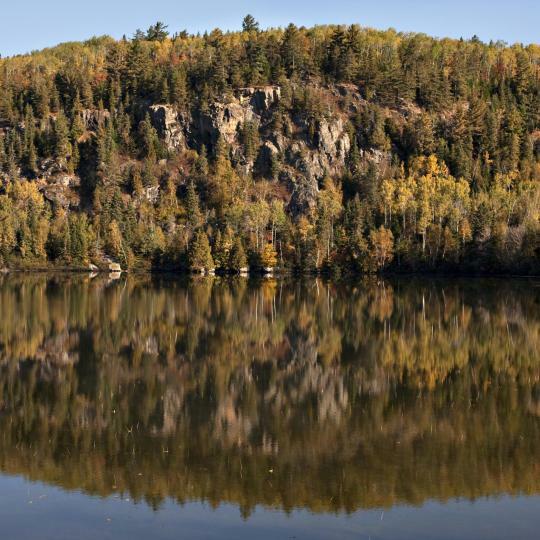 Showcasing a fitness center and water sports facilities, Holiday Inn Express & Suites - Gatineau - Ottawa is located in Gatineau in the region of Quebec, just 3 miles from Casino Lac-Leamy. Very clean! Friendly staff! Great selection for breakfast! Le Mount Stephen is located in Montreal's Golden Square Mile, 1476 feet from the Museum of Fine Arts, 1804 feet from Bell Center and 2953 feet from McGill University. Amazing all the way around. Staff and hotel were 👌👌. Located in Saguenay, 11 miles from Mont Fortin Ski Centre, OTL Gouverneur Saguenay offers amenities including a fitness center and a garden. Room was very clean and the bed was very comfortable. Friendly and helpful staff. Located in Sherbrooke, 1.7 mi from Université de Sherbrooke Stadium, OTL Gouverneur Sherbrooke has a fitness center and garden. The hotel offers a steakhouse restaurant and a terrace. Everything was perfect ! Staff were very professional, rooms were just WOW! Featuring free WiFi and a sun terrace, Hotel Monville offers pet-friendly accommodations in Montréal, 328 feet from Convention Center Montreal. Guests can enjoy the on-site bar. The location is perfect, the front desk is great, we love the roof view. Featuring free WiFi and a sun terrace, William Gray offers accommodations in Montréal. Guests can enjoy the on-site bar. Private parking is available on site. Room, location, amenities, food and staff were all excellent. Located within a 2-minute walk of Manoir Boucher de Niverville, Hotel Oui Go in Trois-Rivières provides a shared lounge, as well as free WiFi. Fabulous boutique hotel with a great design, large & very comfortable room. Offering a sun terrace, indoor pool and a ski pass sales point, Hotel de l'Horizon is set in Sutton. Guests can enjoy the on-site bar. Free WiFi and free private parking are available on site. We stayed in a family room for one night which was very comfortable for parents and kids. Le Monastère des Augustines, a health and wellness center, is a former monastery from the 17th century that has been completely restored. Fabulous location and building. Best mattress on bed ever. Renaissance Montreal Downtown is set in the Montreal city center, steps from the iconic Place Ville Marie and shops on St-Catherine Street. The hotel's lobby is inspired by local street art. Staff was super friendly and accommodating. Valet was quick and easy. Auberge Sous les Arbres offers accommodations in the Gaspé city center. A daily breakfast is prepared on site, and rooms come with an espresso coffee machine. Free WiFi is available. Everything precious recThe entire building is spotless. Located in Cowansville, Manoir Sweetsburg offers 3-star accommodations with a garden. Featuring a shared lounge, this property also provides guests with a restaurant. Free WiFi is provided. We had an excellent breakfast and the rooms were charming and comfortable. Located in Griffintown, Hôtel Alt Montréal is within 656 feet of the Lachine Canal and 0.6 mi of the Old Port. This eco-friendly hotel offers an on-site snack bar, fitness center and free WiFi. Location! Close to Old Montreal and downtown and Centre Bell. The Quality Inn & Suites in Val-d’Or is located near the downtown area, Center Air Creebec (Arena) and several large mining and forest companies. Location to snowmobile trails was excellent. Breakfast was excellent. Staff were above excellent. 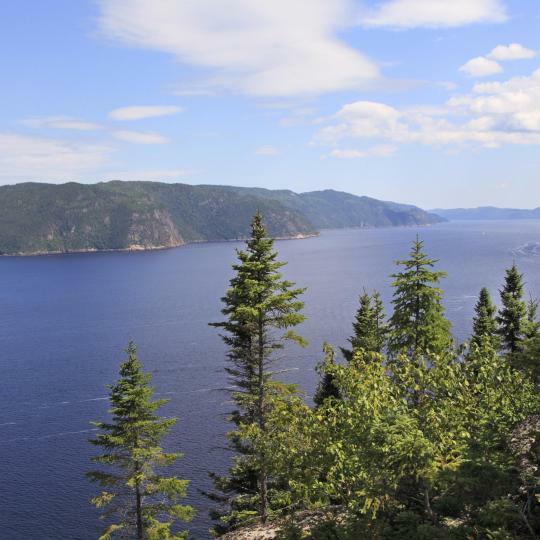 Kayak along the stunning Saguenay Fjord, known for its majestic cliffs and deep blue waters. 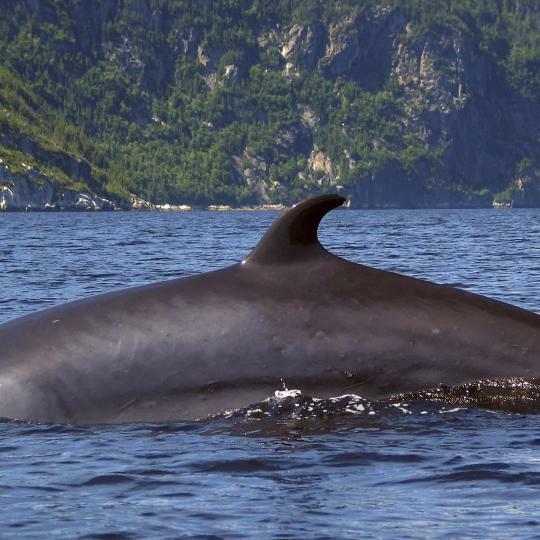 Take a cruise along the Saint-Lawrence River in Tadoussac, where you can spot beluga whales, sea birds and sea mammals. 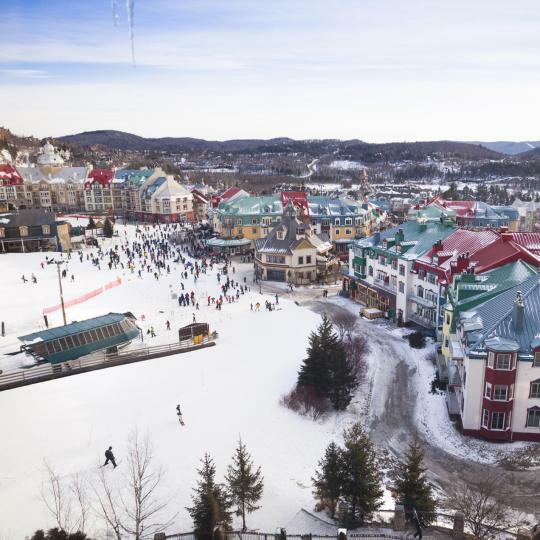 A haven for ski and après-ski enthusiasts, the Laurentians is home to multiple ski resorts, including Mont-Tremblant and Mont Saint-Sauveur. Admire the rolling hills, headlands and national parks of Charlevoix, a UNESCO World Biosphere Reserve. 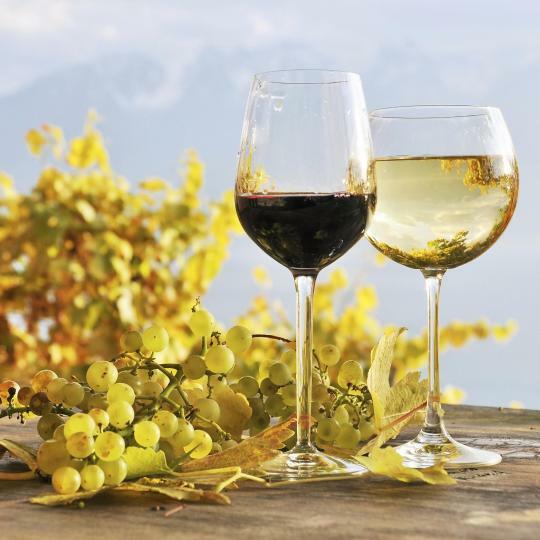 Taste Québec’s renowned ice cider, in addition to reds and whites, along the Brome-Missisquoi Wine Route. 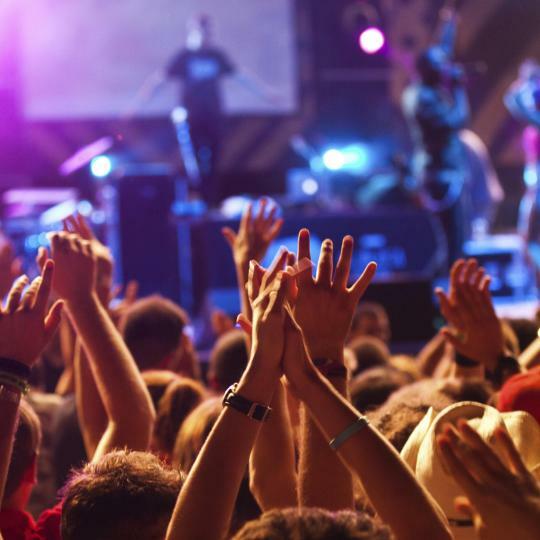 Montréal hosts festivals year-round, ranging from music to comedy events. The Jazz Festival and Just for Laughs are among must-sees. Discover the European roots and historic architecture of this fortified city by walking its cobblestone streets or riding a horse-drawn carriage. 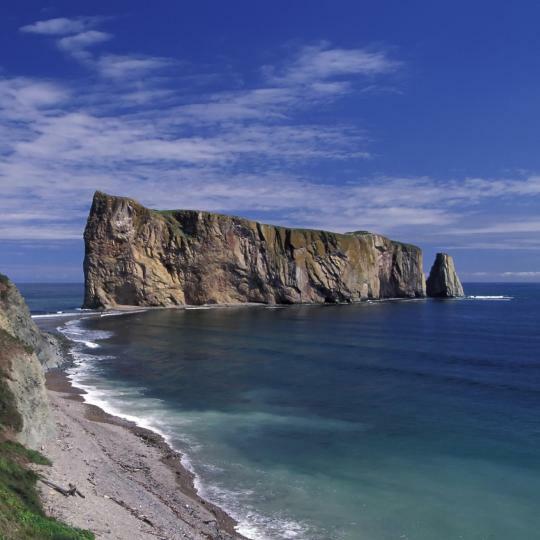 Marvel at Percé Rock, a sheer rock formation in the Gulf of Saint-Lawrence at the tip of the Gaspé Peninsula. 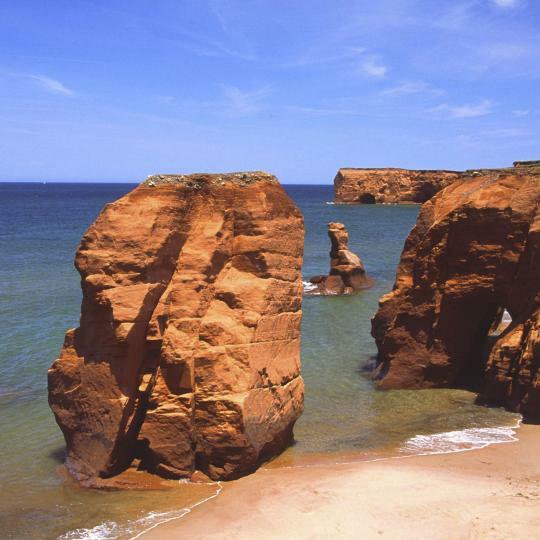 Explore the white beaches and red sandstone cliffs of this small archipelago before capping your evenings off with local seafood. 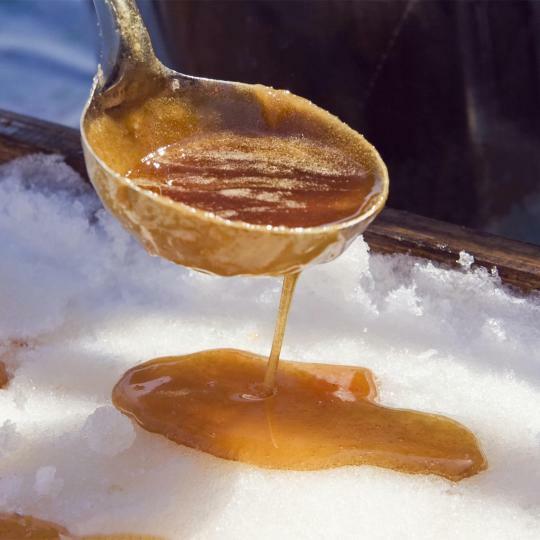 Try an entirely maple menu, from maple toffee to maple-glazed ham, at one of these local maple syrup producers. Quebec City was absolutely charming! Quebec City was absolutely charming! Loved it and will absolutely go back, if not even just for the food!! ;) (Maison Smith, Lapin Saute, and SSS to name a few!) Kassandra with the Promenades Fantômes ghost tour was great! Quebec City is always our go to city for a change of pace and scenery. A world heritage site that is so easily accessible and beyond Fabulous. We ate dinner at Le Lapin sauté situated in le Petit Champlain area and as usual the service and food are a 10/10. It’s easy to get around by walking everywhere. You can either walk busy streets like la rue St Jean or avoid people ad walk thru the Plains of Abraham. Who could ask for better! I loved Quebec City. It is a little on the expensive side like most places in Canada, but it was a great place to visit with children. Would definitely love to visit again. We went to Quebec City for a long weekend, It was the closing weekend of Carnival. Just an excellent trip, the locals were very welcoming and the food was terrific. Definitely will go back. Quebec is not a boring city! Quebec is not a boring city! There was plenty to see and investigate in depth. The food culture was quite varied and interesting. We found a few gems—places to eat and drink—while we were out and about. We stayed within walking distance of shopping and the historic districts and were rewarded with plenty of curiosities. The art in the large number of galleries in the old city were a source of inspiration for my own art and photography. We went to the Falls, the island d 'Orleans, visited the Cathedral. These places were a quick drive from our hotel and were well marked and easy to find. We shopped at the small shops by the Frontenac, visited the fields of Abraham and the museum of the 7 year war. We ate at a number of wonderful The Hobbit was so good we had dinner there twice in our short stay. Their service was superb. We did not have a bad meal or poor service in any place that we stopped. We did a lot of walking in Old Quebec, the vernicular was a blessing with all of the steps. Old Quebec is beautiful - charming, quaint, historical. Old Quebec is beautiful - charming, quaint, historical. Lots to take in incl a look at the Chateau Frontenac both in- and outside. People very friendly. Check out some of the local bakeries and Patisseries for breakfast or a snack during the day. Loved our visit to Quebec’s city. Loved our visit to Quebec’s city. Took a sightseeing tour and a tour to the Island of Orleans.Walking tours should also be fun. Lots of interesting places to visit. Really enjoyed our short trip to Quebec City. Quebec City is rich with history. 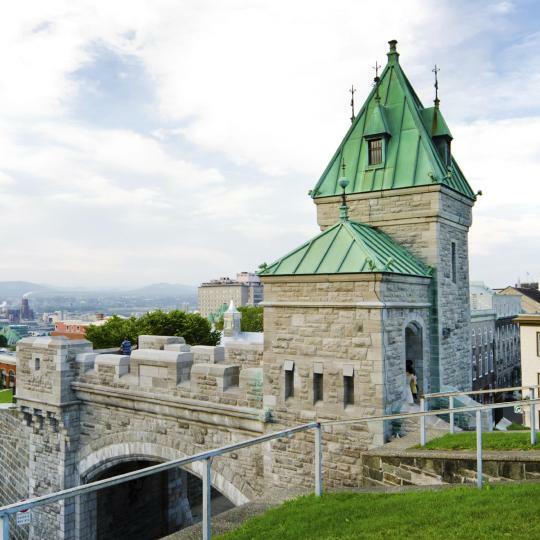 Quebec City is rich with history. It's a beautiful place and easy to get around. Do yourself a favor and sign up for a non touristy tour so you can find out more about the city. Also, find the revolving restaurant for lunch - incredible views and great food. We wanted a more authentic Old Quebec experience and B&B de la Fontaine delivered. Room key and notes related to the room and our stay were conveniently posted in an envelope for us when we arrived. The rooms were clean, breakfast was great, and location is ideal for touring Old Quebec. The stairs were a bit steep and tight as expected with this type of building, and plan for offsite parking if needed in advance. In our previous visits to Quebec City we stayed at hotels, but we will be returning here for our next visit. The room was very clean. The staff were very friendly. We stayed in the loft, it was perfectly comfortable. Do be aware, it is in the 3rd floor with no elevator. The building is historical. The walls are thin, so we could hear the noises from people staying in the next room. The location could not have been more perfect. Also to note, the parking in old Quebec is very difficult. Staying at this hotel, allowed us guaranteed parking in a garage. This hotel came recommended to me and it was great! The staff was excellent and the location fantastic! They had an underground parking garage which was self-park or you could use the valet service. There was a little convenience store which was opened late which was practically attached to the hotel. Quick, short walk to Old Quebec City with all the awesome restaurants and sight-seeing locations. The location, so close to everything like old Quebec and Plaines of Abraham and Cartier Street. Nordique Walks and snow shoeing on the Plaines with a group called La Marche Nordique with Any Rouleau. Met very interesting people. I loved their included breakfast lots of fruits great and upscale presentation and service. Watched the Saint Patrick parade from the inside entrance Hotel. Hotel Le Saint-Paul is very conveniently located to the Old Town area of Quebec City, and I had a view of the St. Lawrence River. I was able to walk to the historic district very easily. The breakfast that was included in the price of the room was very good as I was able to choose from different options each morning. The staff was polite. I would definitely stay at this hotel again. Excellent location right by old town, downtown, and Chinatown districts -- you could walk to most of the sights of Vieux-Quebec, and the entrance to the metro station is just across the street from the hotel. The room was a lot nicer than expected, with a fireplace and hottub. Hotel du Vieux Quebec is located in the old city (as the name suggests) and it's very close to restaurants, bars, and tourist attractions. We could walk everywhere. Also, the parking option is very convenient. The staff is very friendly and the installations are neat. The Inn was charming, very comfortable, and in a great location for exploring Old Quebec City on foot. The hotel staff was very helpful. The hotel also exchanged American money for Canadian dollars with no fees. Great staff. Very welcoming and gracious. The location couldn't be better if staying in Old Quebec is the goal. The hotel was clean and well appointed. Good breakfast included in the room price. Location and facilities were great. Host was very easy to work with and communicated well (mostly via email). Access was easy and the apartment is close to much of downtown Old Quebec. The excellent hotel was an added attribute to our trip to wonderful Quebec City ... and the Canadians have no weapons and their boss's name is Justin Trudeau, so we love Canada! Nice street and quite close the old Quebec. Lots of restaurants and shops close by. Loved the grocery store across the road. The inside of the apartment was clean. The staff and hotel were incredible. We would recommend this hotel to anyone visiting Quebec and will most certainly return!! The hotel is located in the heart of Quebec City. Walking distance to the main attractions.